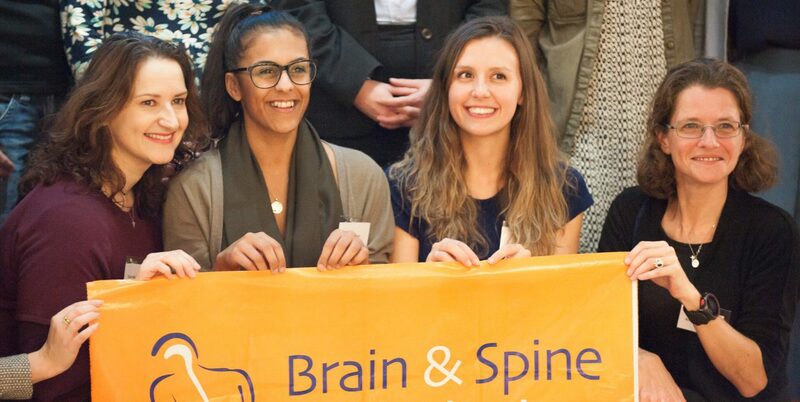 Support in setting up stands and cheering on our fundraisers in sport challenges is always needed, so if you are interested in helping out at our next event, please contact Alice, our Fundraising Assistant on 020 3096 7880 or email events@brainandspine.org.uk to find out how you can help. Other vacancies, such as supporting our work in a specific project, are advertised in the 'Work with us' section of our website under 'About us' so check back for future opportunities. Volunteer with #TeamBrainandSpine in the next fundraising event! Get in touch with us at 020 3096 7880 or email us by clicking on the button below.